[By Nick] I must have been good this year because I received an early Christmas present from the folks over at Steve’s Ice Cream (founded 1973). For those who don’t know, Steve’s is basically the New York version of Jeni’s with the price tag to boot. Steve’s is all about making small batch ice cream with only the highest of quality of ingredients. They also source ingredients from local artisans such as Pies & Thighs to make their ice cream a true representation of the City in which it was crafted. I truly enjoy companies like this. It’s all about the ice cream for them and they take such pride in what they produce. It’s quite remarkable as well as respectable if you ask me. 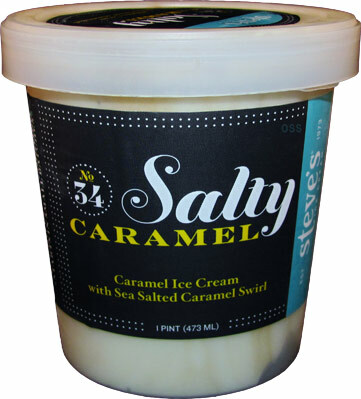 Now seeing as everyone has been putting out a salted caramel product as of late, let’s start with the free sample of Steve’s Salty Caramel ice cream. 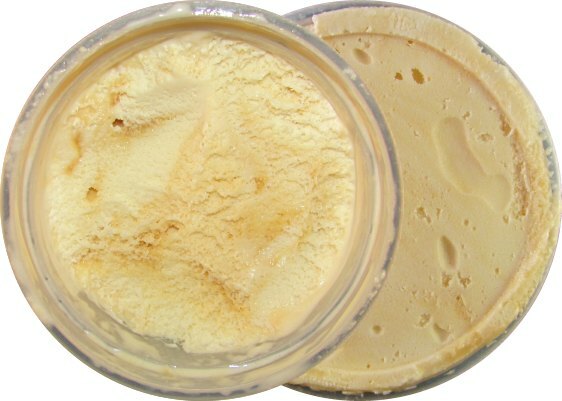 It's "Sweet Caramel Ice Cream Rounded Out by a Savory, Sea Salted Caramel Swirl". Seeing as this is a new brand, let start with the texture. I’m not sure how they did it but while this is a dense flavor, it’s light on your palate. It’s hard for me to explain but it’s heavy on your spoon but once it reaches your mouth its very light like a regular ice cream. I’m really not sure how I feel about this to be honest. One side of me is fascinated while the other misses the ability to savor the flavor. Now I wonder if all their flavors are like this. Anyway, texture is only one component and taste is the ultimate factor when it comes to making or breaking a flavor to me. And well, they succeeded in that department. Finally, a caramel base that actually tastes like caramel! They say the base is a sweet caramel and I have to agree with them there. It’s not potently sweet thanks to all the butteriness and you do pick up hints of salt. This saltiness only intensifies when you run into streaks of the sea salt caramel swirl which, to be honest, isn’t all that often. I’m guessing the swirl got overly mixed in the making of this flavor which contributed to the saltiness of the base. This is in no way a complaint because the added salt component works perfectly in not letting the all caramel flavor become cloying as well as boring. I can’t help but wish they had included some sort of solid mix-in though. I would’ve loved to seen some chocolate covered pretzels thrown in there for the ultimate sweet and salty flavor. As is, it’s still a solid flavor but not worth the price tag in my book. Looking over the other flavors they sent me, I’m sure I’ll be impressed by the rest. Verdict? Needs a little something extra to be extraordinary. Buy Again? If I could get it cheaper, maybe. Man... is salted caramel just the flavor of the year, or what!? Uh-oh, what's going on? It wasn't that long ago that Dubba proudly proclaimed that On Second Scoop only reviews mainstream ice creams. Josh, I'd say salted caramel was more trendy last year. Then again, I see this sweet/salty trend exploding next year. That and possibly some more savory offerings.